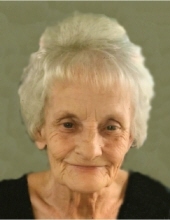 Mrs. Brenda Kaye Holbrook Greenhill, age 73, of Olive Hill, Kentucky, passed away Sunday morning, February 10, 2019, at Elliott Nursing & Rehabilitation Center in Sandy Hook, Kentucky. She was born November 13, 1945, in Carter County, Kentucky, a daughter of the late Ottis Marion and Gracie Holbrook. Brenda was of the Baptist faith and she loved playing Bingo and spending time with her family and friends. In addition to her parents, she was preceded in death by one daughter, Marsha Harper, and one granddaughter, Tessa Greenhill. Brenda is survived by two sons, Robert Greenhill (Brock Ward) of Huntington, West Virginia, and David Greenhill of Grayson, Kentucky; one daughter, Kim Stamper (Vint Manning) of Olive Hill, Kentucky; five grandchildren, Karen Littleton (Cruz), Jay Stamper (Alisha), Curt Stamper, Brian Stamper (Becky), and Sue Watkins; and 11 great grandchildren; Will Workman, Dale McGlone, Jordan Stamper, Destria Littleton, Madison Stamper, Kobe Stamper, Jaylee Stamper, Jayla Stamper, Brison Stamper, Luke Carper, and Bella Sue Lunsford. She also leaves many other family members and friends who will sadly miss her. Funeral services will be held at 11 a.m. Thursday, February 14, 2019, at Globe Funeral Chapel in Olive Hill, Kentucky, with Brother Bobby Day officiating. Burial will follow in the Binion Cemetery in Elliott County, Kentucky. Friends may visit from 6 p.m. to 8 p.m. Wednesday, February 13, 2019, and after 9 a.m. on Thursday at Globe Funeral Chapel, 17277 West Highway US 60, Olive Hill, Kentucky 41164. Cruz Littleton, William Workman, Jordan Stamper, Jay Stamper, Curt Stamper, and Brian Stamper will serve as pallbearers. "Email Address" would like to share the life celebration of Brenda Kaye Holbrook Greenhill. Click on the "link" to go to share a favorite memory or leave a condolence message for the family.